Who do you think of when you hear Rockin' Soul? Who's hairstyle is this Rockin' Soul wig based on? One clue? she can be your private dancer?. 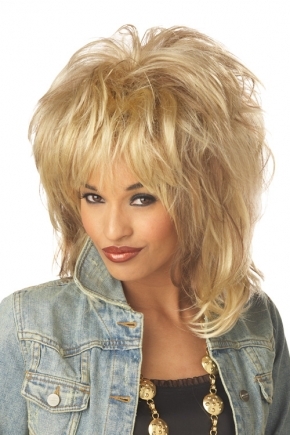 This Rockin Soul wig in the stye of Tina Turner will complete your 80's music star outfit, and it's Simply The Best!